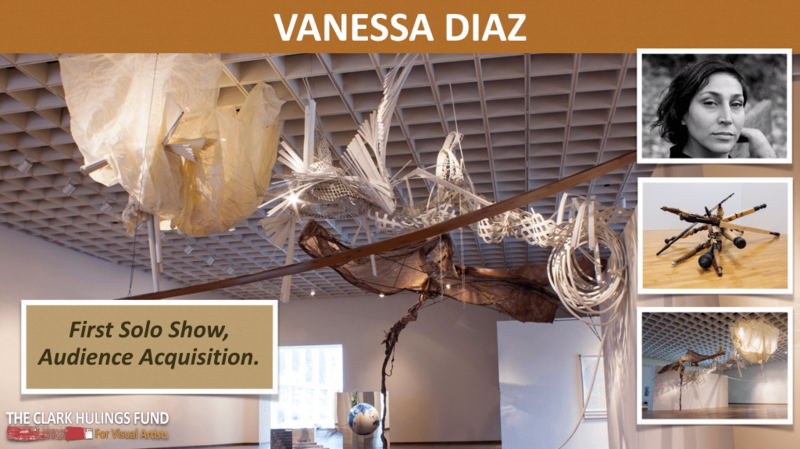 Vanessa Diaz is an interdisciplinary artist working in sculpture and site-specific pieces. The fund is supporting “The Possibility of an Exit”–an installation that suggests a house impacted by natural disaster, in which the remains have been used to build a bridge. The piece invites the viewer to observe a surreal fragment of domestic space, where familiar objects have been adapted to an unknown territory. This installation represents Diaz’s first solo show, and will be exhibited at the ArtsUp project space in Fort Lauderdale, Florida (January – April 2016).